University of Chicago Photographic Archive, Special Collections Research Center, University of Chicago Library. This story was updated on Feb. 12, 2016. 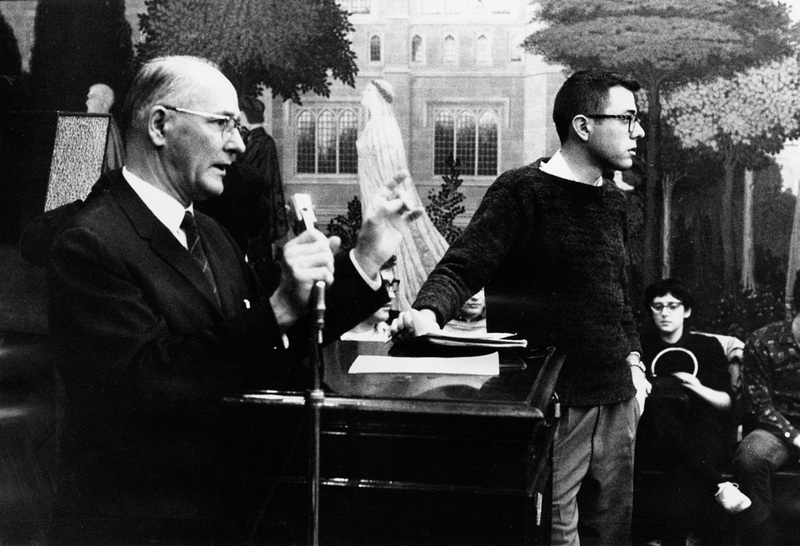 Bernie Sanders, a member of the steering committee, stands next to George Beadle, University of Chicago president, at a CORE meeting on housing sit-ins in 1962." 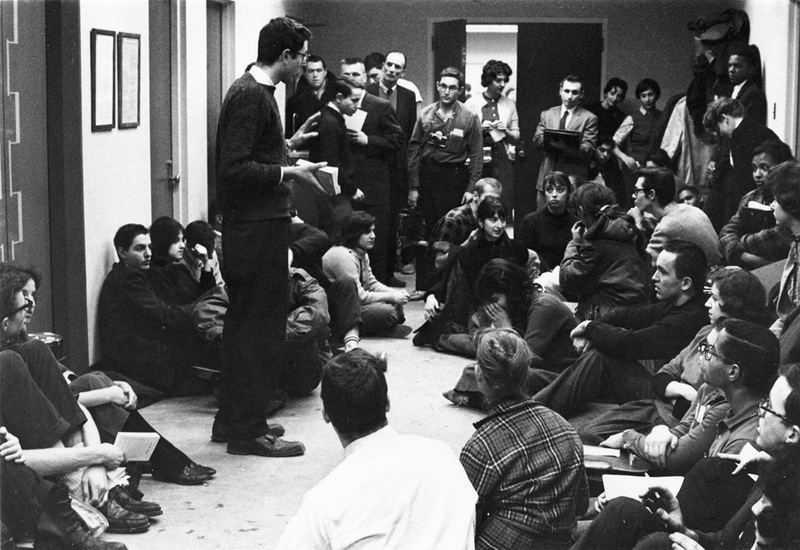 University of Chicago Photographic Archive labels this photo, "